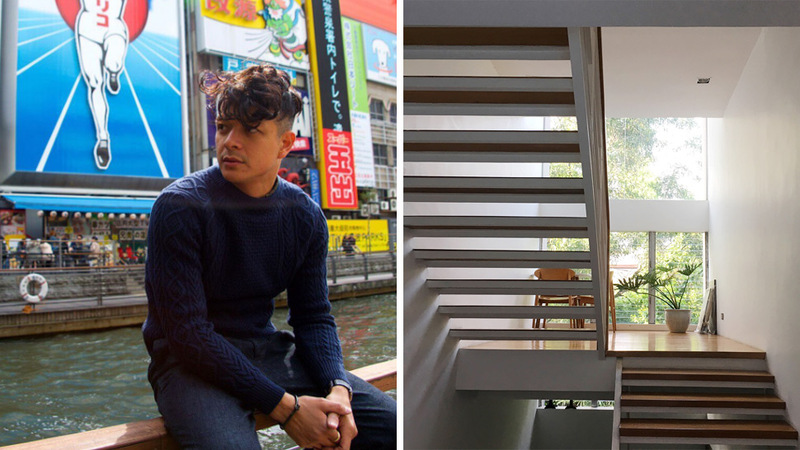 For someone who’s busy and into different passions like motorcycling and surfing, we can only imagine that actor and businessman Jericho Rosales comes home to a relaxing space where he can indulge in a good night’s sleep, enjoy a quick respite outdoors, or simply spend some quality time with his wife, Kim Jones. It’s safe to say that we got it right. Jericho’s house is a modern dream—with clean lines, jalousie windows, and spaces meant for taking a break and entertaining friends. In a snapshot shared by Buji on Instagram, we can't help but admire the pretty living area with a few beach-inspired touches. Defining the space is a woven area rug that will remind you of the well-loved banig. The high ceiling helps makes the space look bigger while improving air circulation. Behind the inviting sofa is a brick accent wall adorned with framed photographs. Jericho also has a talent for taking photos and we can only guess that some of the photos on display were taken by the actor. Find a similar sofa at House of Ital. Shop for similar frames at SM Home. With plants and tropical-inspired touches completing the living area, friends will surely feel like they're transported to a secret getaway by the beach the moment they step into the home. Working with a combination of white and earth tones can instantly turn a space into a resort-like escape. Jericho and Kim share the spacious haven with a couple of furry companions. Opting for an easy-to-clean flooring is perfect if you live with pets. Who wouldn't adore the staircase in this house? It highlights the beauty of wood and clean lines. One of the best things about this house? There are tiny nooks where Jericho and Kim can enjoy cups of coffee, exchange stories, and admire the outdoors. After the short flight of steps from the first floor is a quiet corner furnished with matching chairs and a round table with marble top. It can function as a reading nook, too. Find similar pieces at Design Story. The bridge-like part of the home's structure houses a daybed spruced up with pillows. It can function as a nap nook, a sitting area, or simply as a special place where Jericho can take a break and play the guitar. Notice the jalousie windows chosen for the space? These glass windows let in plenty of light while keeping the space well-ventilated. Does these jalousie windows look familiar to you? 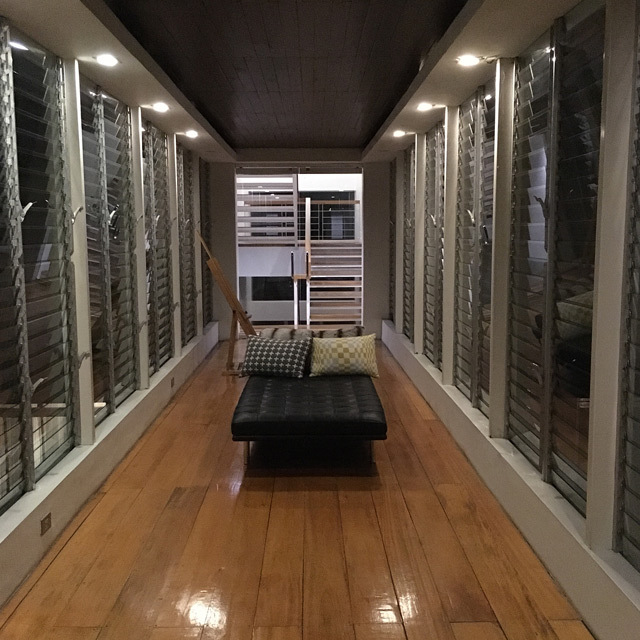 Architect couple Buji and Nikki Libarnes used these in their envy-worthy house in La Union, too! Click here to see more photos. 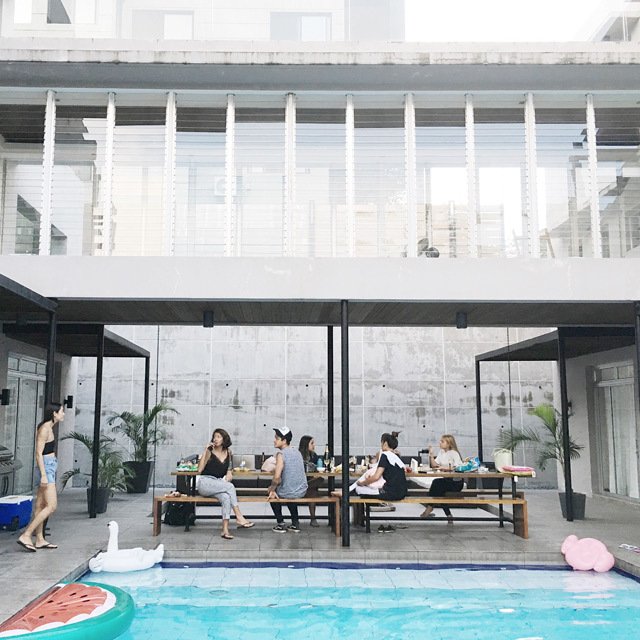 Jericho and Kim host get-togethers with friends and their outdoor area is perfect for BBQ nights and pool parties. Completed with a long table and wooden benches, it's reminiscent of hip hangouts by the beach. With a setting as relaxing and cozy as this, we wouldn't be surprised if their friends would want to stay and chill for hours. Since they both love the water, Jericho and Kim can simply lounge by the pool, enjoy refreshments, and soak up some sun. 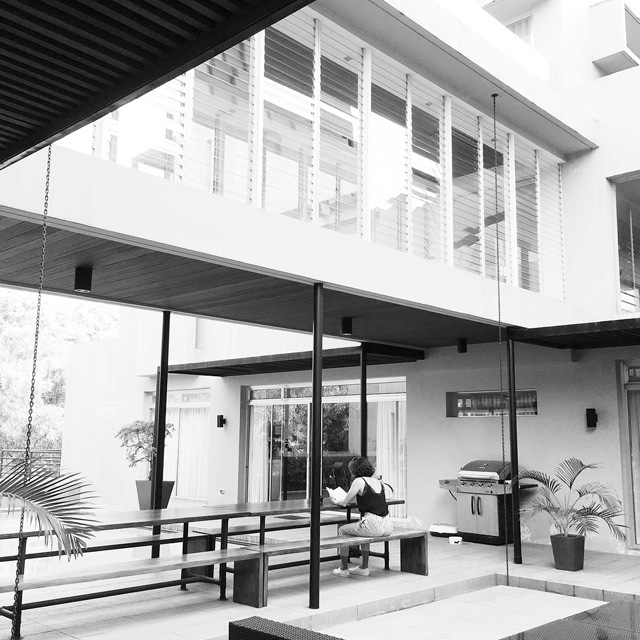 Furnished with sturdy outdoor furniture and with plants surrounding the area, it's the best spot to enjoy free days and quiet afternoons. Coast Pacific crafts exceptional outdoor furniture. Click here to learn more.